This series has been like balm for my soul! I don’t believe that there’s better medicine for the human heart than a strong dose of the promises found in the Bible. 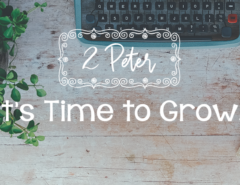 Peter, in his first and second letter (we know them as the books of 1–2 Peter) helps us to understand the importance of cultivating a sober mind that feeds the firm hope we have in Christ. These words may seem like they’re from a paleontology book because they sound old and dusty, but in reality they’re the key of standing firm in this race of faith. Open your Bible, and read the first two chapters of 2 Peter so you can remember the thread of the letter. Then move on to chapter 3. What words or phrases are repeated in the following verses? This is now the second letter that I am writing to you, beloved. In both of them I am stirring up your sincere mind by way of reminder, that you should remember the predictions of the holy prophets and the commandment of the Lord and Savior through your apostles, knowing this first of all, that scoffers will come in the last days with scoffing, following their own sinful desires. But do not overlook this one fact, beloved, that with the Lord one day is as a thousand years, and a thousand years as one day. The Lord is not slow to fulfill his promise as some count slowness, but is patient toward you, not wishing that any should perish, but that all should reach repentance. But the day of the Lord will come like a thief, and then the heavens will pass away with a roar, and the heavenly bodies will be burned up and dissolved, and the earth and the works that are done on it will be exposed (vv. 1–10). 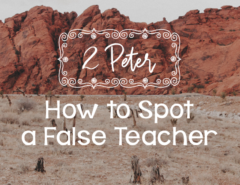 Peter continues to remind us what’s important and helps us know what to pay attention to. This time he refreshes our memory and encourages us to think rightly. There’s a reality in the life of every believer, regardless of age, that we tend to forget the Truth, running the risk of thinking incorrectly and as a result, living in error. We need to remember again and again the Word of God, those things spoken by men inspired by the Holy Spirit, the commands given by the Lord Himself through the apostles in Scripture. 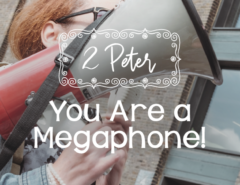 I love that Peter gives a clear definition of what we need to remember; it’s not about topics of showmanship or self-improvement. The Word of God is the only cure for spiritual amnesia. 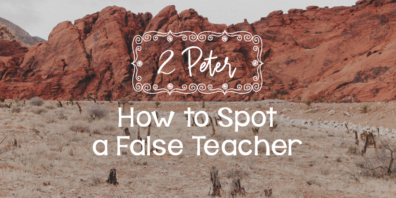 Above all, Peter wants us to remember that scoffers will come and they will seek to ridicule the Truth that sustains our faith. Think of a scoffer as someone who mocks or makes fun of God or His Word. There will always be people who question and deny the coming of Christ. Have you seen them at your school? “Christ is coming!” (Accompanied by mocking laughter.) That was what my classmates shouted at me when I passed by them in high school. Even though I held firm, I can’t deny that sometimes I felt ashamed and was tempted to doubt if the future coming of Christ was true. Our eyes need to be focused on the Truth and our hearts charged with the promises of God. Peter anticipates the mockers’ arguments. They’ll ask, “Is He really coming back?” because “all things are continuing as they were from the beginning of creation” (v. 4). But they’re missing something important. These arguments don’t take into account the power of God from the beginning of creation or how He destroyed the ancient world with water. They deny that now He has reserved the earth, by His word, for the day of judgment. Even if you feel the wait for Christ is long, remember that God doesn’t experience time like us. God is eternal, and He uses time to carry out His plan. He can’t be even one minute late. He hasn’t lost His agenda. The calendar date hasn’t been erased. We need to trust that He will arrive right on time because we’re not talking about a sinful and forgetful man—we have faith in the Creator of time and the Author of redemption. God transcends our understanding of His use of time. We also need to remember His great mercy. While waiting for His return, He uses the time to extend grace to those who haven’t yet repented. Every day under the sun is evidence of God’s patience and His grace for those who haven’t yet believed in Christ. That gives purpose to our wait and reminds us that we’ve been called to preach the gospel. 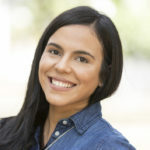 I once heard a preacher say, “When you don’t share the gospel with the lost, you’re saying to them without words: ‘I don’t care if you go to hell.’” This may sound harsh, but just like Peter tells us to remember the character and purpose of God by showing His patience in His return, we need to assume our responsibility to share the Good News with the hope that those who believe will be saved from judgment and condemnation. Don’t give up! How does knowing God’s eternity and mercy encourage you while you wait for His return? How do these verses lead you to praise God or to ask for forgiveness? 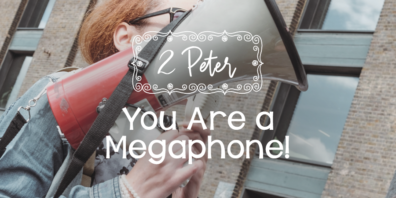 Next Article You Are a Megaphone!